Puppies get a series of 3 sets of vaccinations at approximately 8, 12 and 16 weeks of age. Puppies receive maternal antibodies from their mother through nursing that may inhibit the effectiveness of the vaccine, therefore boosting the vaccine at multiple intervals will prime the immune system and overcome this issue. 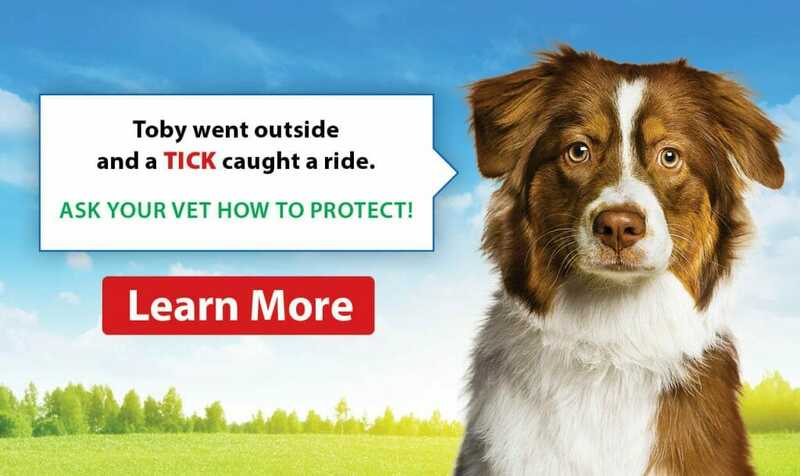 We give the same vaccinations we use in our adult dogs to puppies. 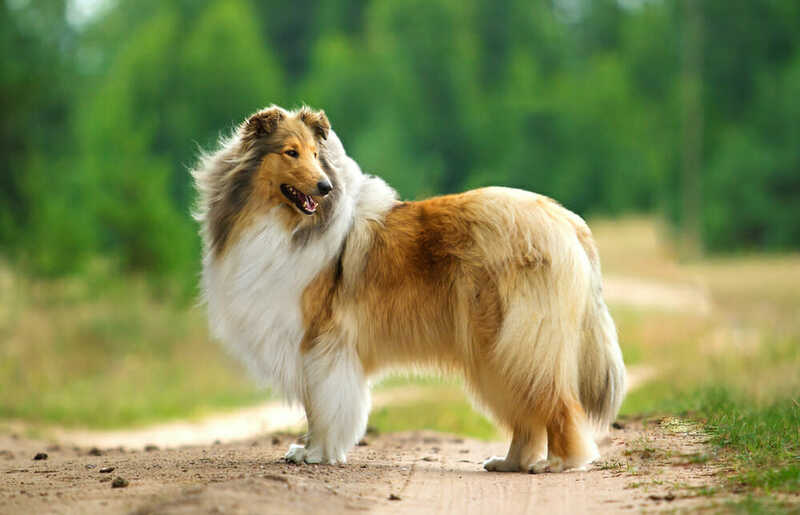 These include distemper, adenovirus, parvovirus, parainfluenza, rabies, leptospirosis and bordetella. It is important to vaccinate your puppy because it’s immune system is immature and they can become very sick from these diseases. As well, we are often exposing our puppies to many new experiences to allow for proper socialization and these include new places, people and other animals. This increased exposure may put them more at risk of contracting any of these viruses. The vaccinations given depend on the age of the puppy. 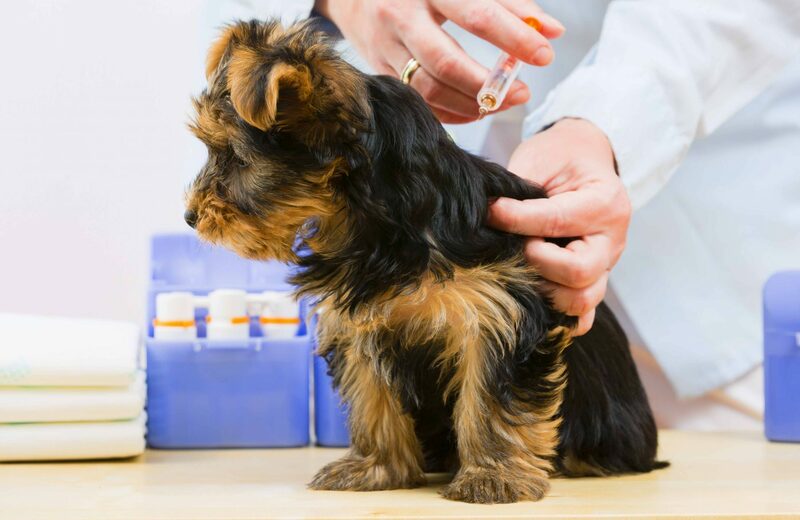 An 8-week-old puppy would just receive it’s DAPP vaccine only. At 12 weeks, we would repeat the DAPP vaccine and may also give leptospirosis and/or bordetella. At 16 weeks, your puppy would be given DAPP, Rabies, and a leptospirosis booster if given previously. Bring your puppy for its first vaccination visit when they are healthy with no medical concerns. Treats are a great idea to help your puppy feel comfortable at the clinic, as you want them to have a positive experience there. Bringing a stool sample is also recommended to check for intestinal parasites. Please contact us to receive a quote for vaccinating your puppy, as it may vary depending on which vaccinations are required.